With Junior Nationals in full swing it’s a great time to sharpen our showmanship skills. 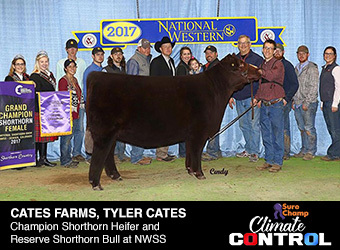 I had the pleasure of discussing this topic with Natioanl Junior Angus Showmanship Contest judge Lacey Robinson, and received a little insight on how to handle a challenging contest with no true science behind it. Robinson, grew up in the small town of Wellsville, MO, where she was raised on a purebred Angus operation. Their operation consisted of an annual bull sale but they also raised a select few show heifers. With a strong livestock background and a sharp eye for selection she went to school at Black Hawk East in Kewanee, IL where she was on a very successful judging team. 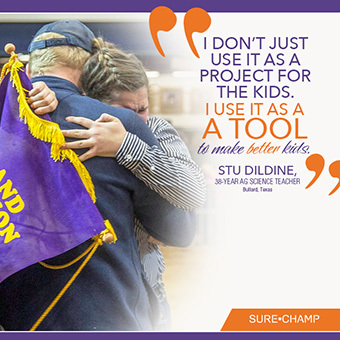 From there she continued her scholastic and judging career at Kansas State University. 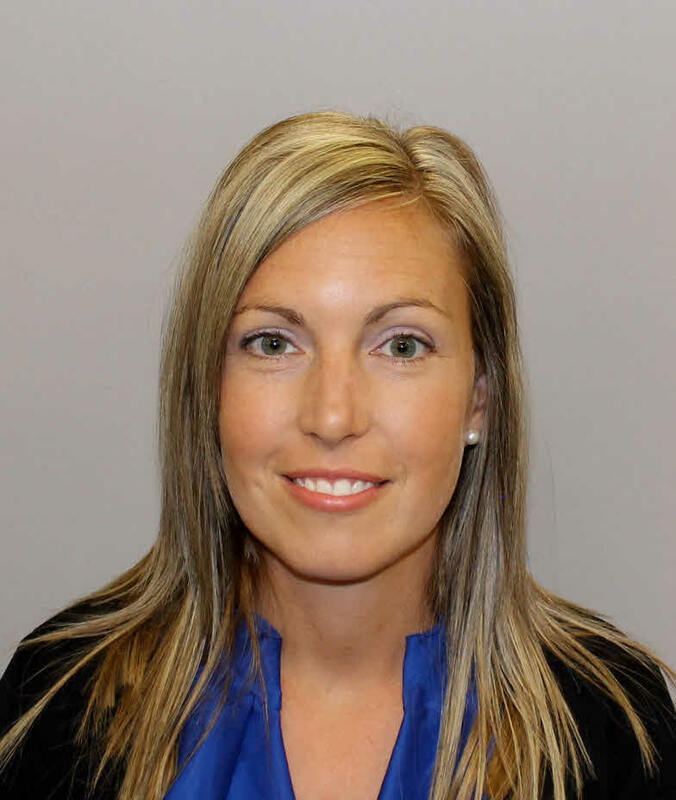 After a few years as the Junior Coordinator at the American Simmental Association she has now gone back to Kansas State for veterinary school. Lacey now runs her own Angus herd that emphasizes a great deal on calving ease and carcass while still maintaining strong maternal traits. When did you begin showing and what did you show? I was 6 or 7 when I first began to show. Throughout my career I mainly showed Angus heifers because I was heavily involved in both the Missouri Junior Angus Association and the National Junior Angus Association. However, I did show a few market steers at our state fair as well. 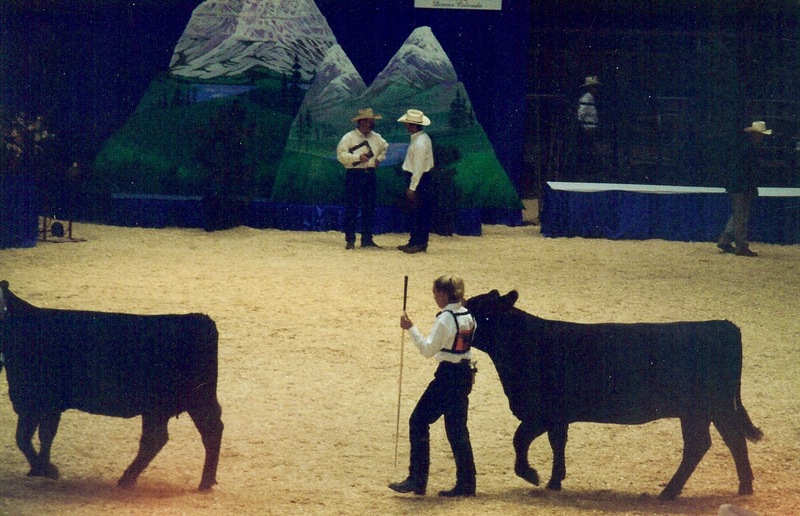 I in fact participated in the National Junior Angus Showmanship Contest myself in 2001. Why do you think showmanship is so important for youth? The reason I enjoy showmanship so much is because it’s something that you personally have control over instead of being at the mercy of one judge. This is an area of the show that you have a hand in where you place. The outcome of the showmanship portion generally directly reflects the hard work and dedication a junior exhibitor puts in at home. What do you look for when judging showmanship? In some ways showing is sort of like a dance. Eventually you become so in tune with your partner you can anticipate what the calf will do and that is when the duo of calf and showman becomes really good. From there the task itself almost becomes instinct or second nature. Great showman make it look easy with a great deal of time spent practicing. What are the mistakes that you often see showman doing that you wish you could change? For me there are two things that I wish I could correct. Initially when people are over anxious on feet placement or heavy handed with the show stick it takes away from the animal being shown. The other thing we must always remember is to be sportsman like in the ring. Always be aware of where the person is in front of you and if the ring help isn’t close don’t be afraid to lend a helping hand. Do you ask questions when judging showmanship and if so what is a good way to prepare for them if there is one? Whether or not I ask questions depends on the event and if the show is crunched for time. When I do ask questions my goal is to evaluate the exhibitor’s knowledge of the industry outside the show ring such as basic animal husbandry and beef animal meat science. What is your advice for first time showman? Also veteran showman? For the first timers I would simply say the more time you spend practicing at home the better you will be. A great way to improve is to pick an older showman who is successful and watch and learn the way they handle any and all situations. For the older showman they should have the basics down so it is important to do the subtle things, be poised and make it look effortless when you are out there. If at all possible it’s better to walk them into it not only to save time but it also makes the calf look more natural in their stance. Finally, first impressions really do matter so be sure to have eye contact right as you walk in because that shows me that you’re focused and ready for competition. How have you used VitaFerm in your cattle breeding operation? Here in our operation we do a great deal of embryo transfer and with that kind of commitment it’s necessary to have a good mineral. We like the fact that it helps cows move back up after breeding and increases conception rate. The results are in the pregnancy rates – it works! Final words of advices? The competition of showmanship is extremely intense. I remember when I participated in the contest and was a ball of nerves. Try to relax and enjoy the moment.